The 2nd annual Railean Rum Run was a big success. 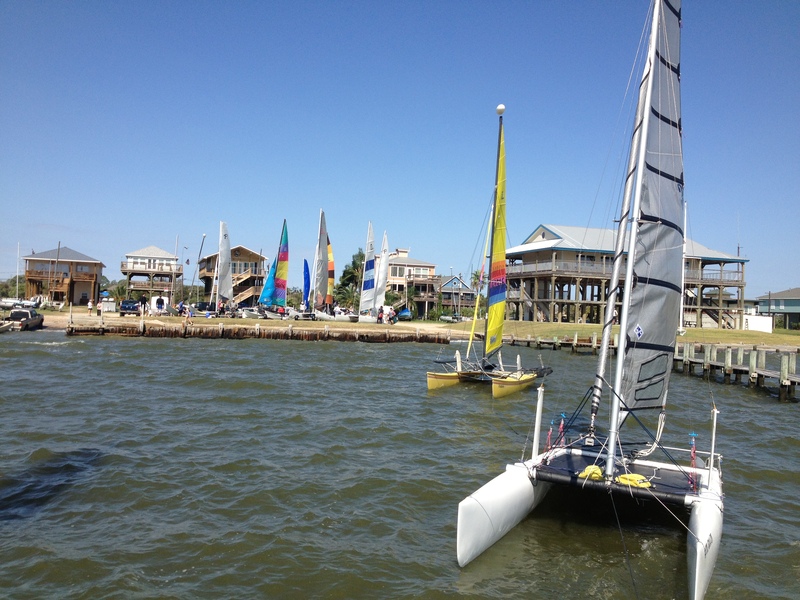 Sixteen catamarans registered which made this event larger than last years. 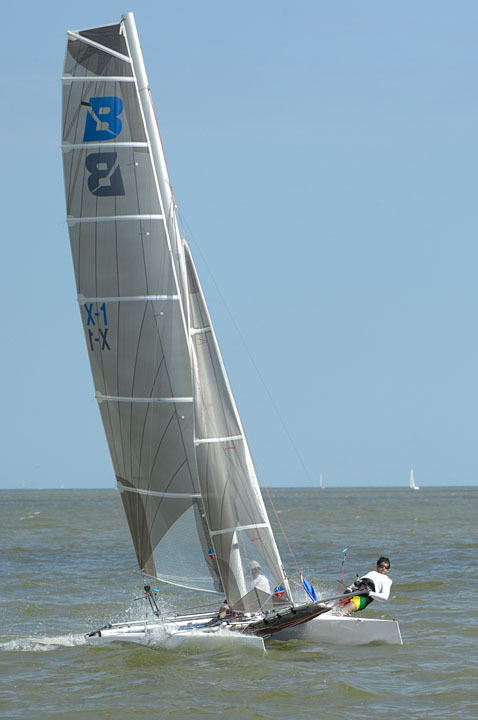 Strong winds from the southeast and choppy waters made for hull flying and white knuckle sailing throughout the race course. 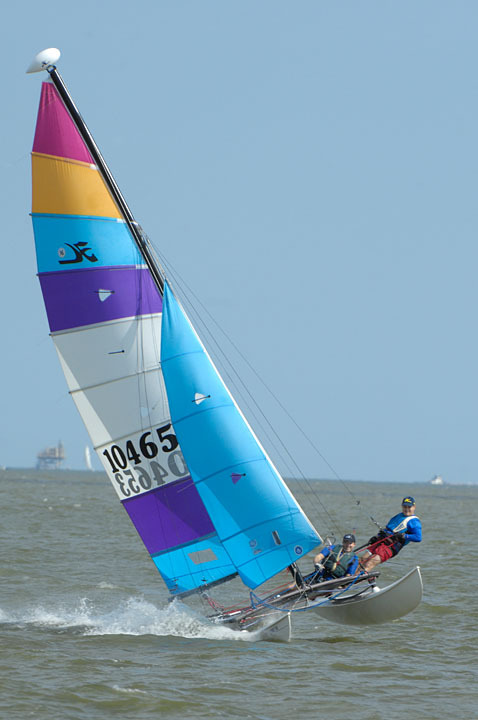 The race started in front of the “T” head, traveled to Red Fish Island, turned north paralleling the ship channel to the high range marker and then southwest toward the finish at SSC, some sixteen plus miles. There were two classes of boats: those with spinnakers and those without which made up the larger of the two groups. At the finish line, lap times were recorded with Trey Garrison scoring each boat using US Sailing’s Multihull Class and Modification Factors. Many thanks go to Kelly Railean of Railean Rum for sponsoring this race, providing their “Finest Trophies” to the top five finishers. Also, I would like to thank Ty Geiger, Race Governor for arranging the use of a Committee/Safety Boat and David Morgan, Commodore for his work as PRO to start the race.